On Thursday, the Shorthose digital team made their way down to the south coast along with 3,500 other digital enthusiasts for the biannual search-marketing conference, BrightonSEO. The night before the main event, DeepCrawl organised a karaoke pre-party. If you thought a group of digital marketers were going to be shy when it came to getting in front of the mic, you would be 100% wrong. Apparently singing and SEO goes hand in hand, and pretty much everyone who took the stage nailed it. The next morning, we headed along to the Brighton Centre feeling refreshed and ready to hear from some of SEO’s brightest voices. Our plan was to divide and conquer; with six different sessions running at any one time through the day, there was a lot to take in. We always want to provide our clients with the best service we can, so we were keen to hear about what’s new. Read on for our four main takeaways. One of the first talks we went along to was Marcus Tober’s ‘Content for the Moments That Matter’. While best practices might involve markup, longer word counts and multimedia, Marcus spoke about how important it was to know your niche, and tailor your content accordingly. Different ranking factors should be considered based on your industry, and what people are actually looking for when they search your terms. A video might be perfect for the fitness industry, Schema is invariable in the top-ranking recipe pages, and divorce content will be long form and factual, a video is just not appropriate here. Just as you’d change the tone used based on your audience when you write, you should adapt your SEO plans based on your industry. It is more common to browse via a mobile device than it is a desktop computer. Google are now officially rolling out mobile first indexing. You will get a notification via Search Console once your site has been migrated but, interestingly, not one of the 600 plus SEOs in the room had seen this yet. This means mobile optimisation is more important than ever before. For the last year and a half, we’ve known that mobile first indexing was coming, so it shouldn’t be a surprise. That said, a number of sites still don’t use best practices. Ideally, your site should be fully responsive, meaning everything scales for optimal user experience depending on the device. You’ll use the same URL, and there won’t be any content that can’t be accessed on mobile. If you’re not already prepared for mobile indexing, then your search ranking could be negatively impacted by the change (and the reverse is true if your site is amazing on mobile and your competition’s is terrible). If you haven’t already, it’s time to fully audit your site, making sure that it renders correctly on all screen sizes. Compare structural performance indicators such as follow links, average load times, duplicate tags and average word lengths. If you have an older site which isn’t ready, it might be time for a rebuild. One of the themes we noticed across several different talks was the importance of auditing and cleaning up your content. Crawls are finite, and by filling your site with content which isn’t useful or engaging (or worse still, isn’t unique) you are wasting your crawl quota. It’s never been easier to make content, but it’s never been harder to gain attention for it. Making use of canonicals, correct HTTP status codes and reviewing all your content to make sure it’s not duplicate will make your site stronger. Using synonyms and changing the odd sentence won’t be worth your time; you might as well write something fresh. It might feel painful to prune articles from your site, but it is necessary. Work through every page logically; tools like copyscape.com can help identify where text has been used in the same order. Greg Gifford’s talks are always excellent, and this year’s session on granular link building was no different. The focus was local links with real-world value and how to obtain them, rather than spending huge amounts of time and resource trying to gain a strong profile of high authority follow links. Sponsorships, offering space for meet-up groups, and giving exclusive discounts can all be great ways to gain a local link profile, and it’s something businesses of any size can do. Think about your contacts in and out of work; they’re all possibilities. Sometimes you’ll just need a quick chat with your contacts. “The increase in new channels and technologies has dramatically changed the environment in which marketers operate. But the way in which marketing is taught, understood and operates has not really changed. This is not sustainable. We need a new unifying framework as a reference for what marketing has become,” Ashley Friedlein, Founder of Econsultancy. 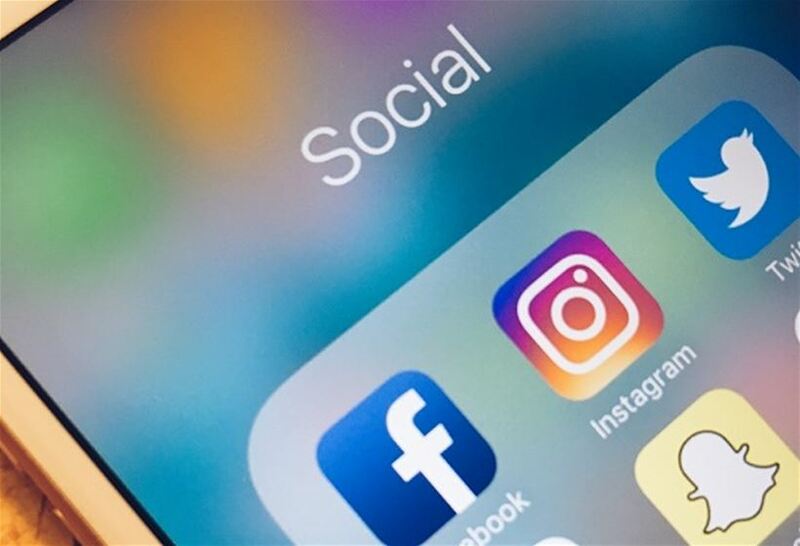 This is the news that marketers have received from Econsultancy in their latest report which is set to shake up traditional marketing models used by marketers and businesses. 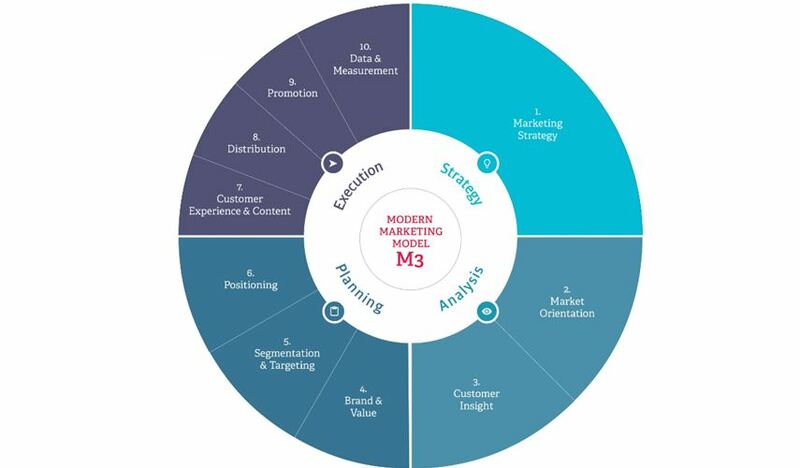 The Modern Marketing Model (M3) aims to define marketing in the digital age by unifying traditional and digital marketing disciplines which will inform marketing’s remit, required competencies and organisational design. What are the objectives of M3? – Answer the question “What is marketing?” now we’re in the digital age. – Change and improve how marketing is taught and understood both in academia and in the workplace. – To unite existing different models and elements into one framework to fuse classic and digital marketing. – Provide a model that covers not just the ‘marketing mix’ but other important areas like strategy and brand. – Ensure the model works for everyone, not only large advertisers with big media spend but to be relevant for small organisations both product and service businesses and B2B and B2C. 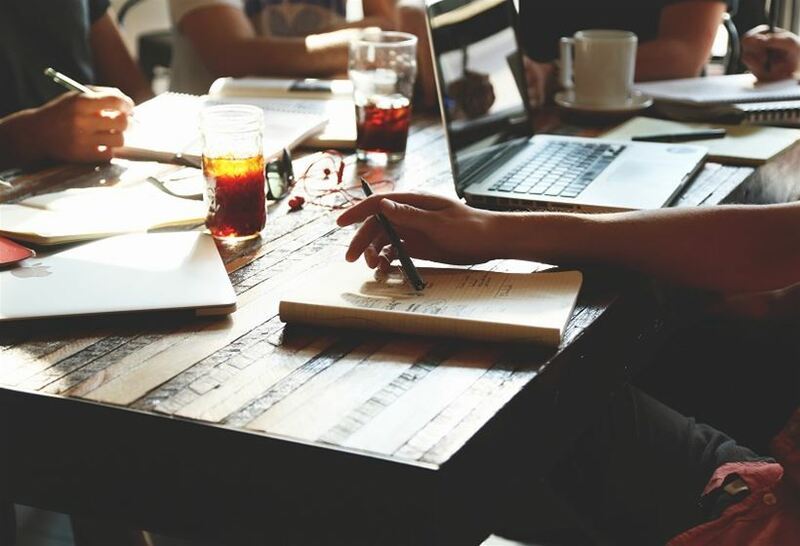 Marketers, whether in-house- or agency side, have been embracing digital and classic marketing disciplines as one for some time but what we have been lacking is a professional industry model to standardise processes across the board. 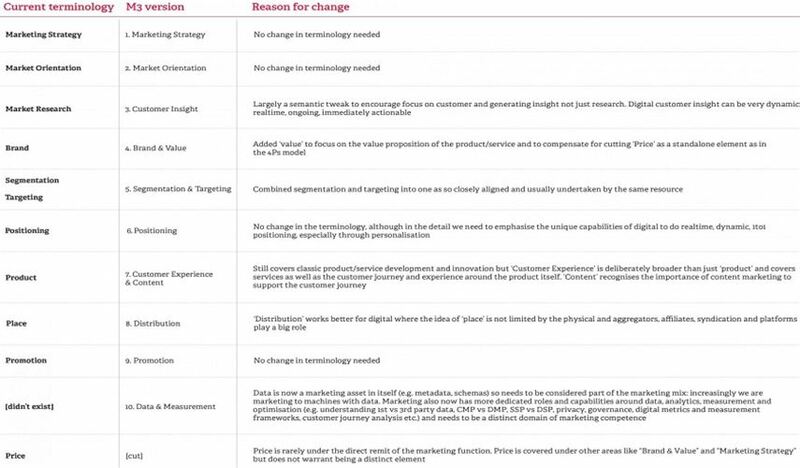 Marketing professionals have been adopting new skills as the competencies and capabilities needed for marketing change. Data and analytics, customer experience and content are all areas of expertise acknowledged in the industry but not in any definitive model. 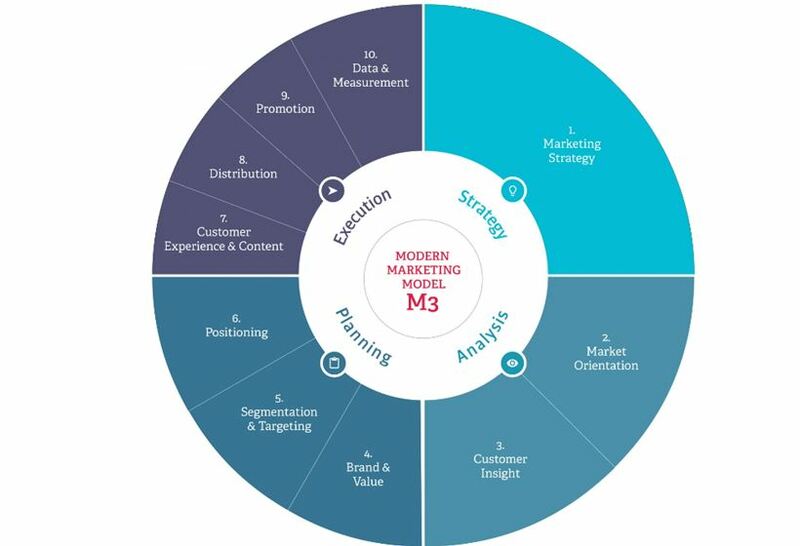 The Modern Marketing Model does not aim to create a brand-new vision of marketing processes but rather to clarify, structure and make more consistent areas of marketing used in modern times. 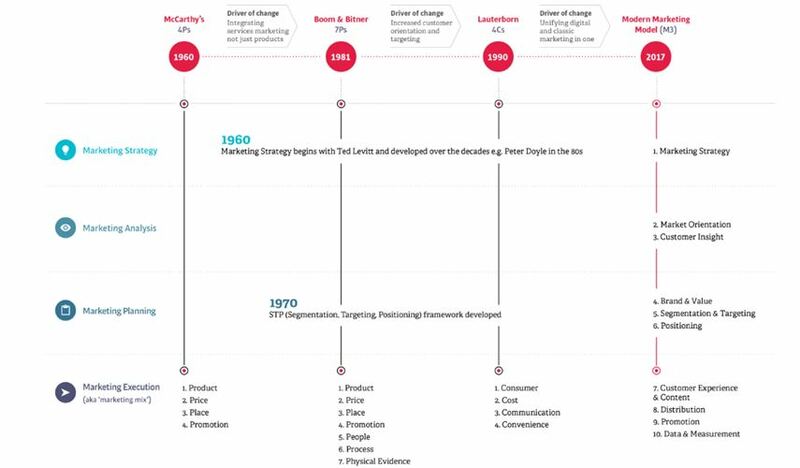 Econsultancy have also provided a handy diagram to compare historic marketing models so we can see how they have evolved over the last sixty years, culminating in the ten elements of the Modern Marketing Model. The report also demonstrates the reasons for change and where we can incorporate digital practices. Most significantly the addition of Data & Measurement as a core element which didn’t exist before and is now a marketing asset. The diagram below outlines the obvious changes that M3 brings and the reason behind them. If you’re serious about generating great returns on social media investments, then remarketing and building custom audiences is something you need to explore. It’s a fantastic way to reach people already interested in your business, as well as finding new audiences who could be, in a creative, engaging and effective way. 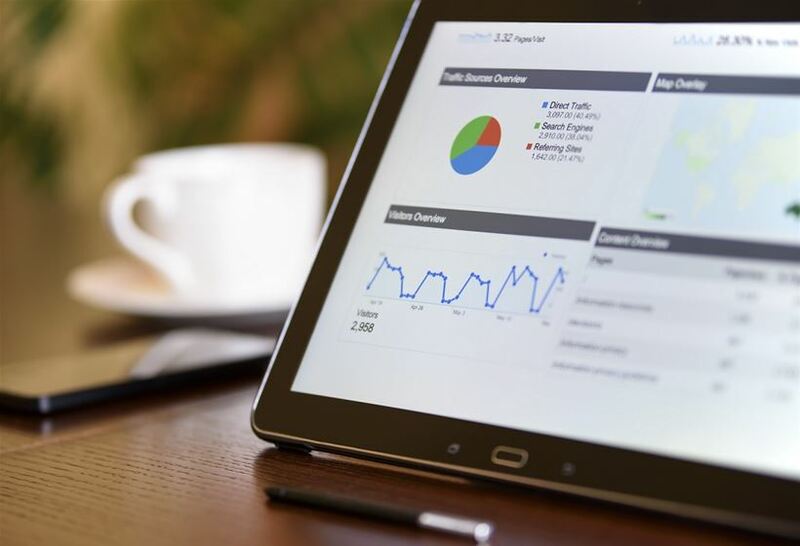 Remarketing is the process of displaying ad content to people who have visited certain pages of a website or stages of the online conversion process. Think about the times you have been browsing various hotels on TripAdvisor and miraculously tailored ad content of those hotels has later appeared in your social feed – that’s remarketing. Facebook sets itself apart from the rest because of its incredible targeting abilities. You can reach people based on a whole host of demographic profiling including basic fields such as age, relationship status and location, but also more advanced categories such as an amazingly wide-range of granular interests and behaviours, including likely to scenarios, for example buying a house or car. Facebook’s remarketing and custom audience capacities are also far superior to its competitors, with a wide-range of options and greater flexibility to test, trial and optimise multiple audiences within ad campaigns. We particularly like Lookalike Audiences. These are an ingenious way of creating new target audiences based on the demographics of your existing customers and/or data segments. For example, if you have a database of UK customers on Facebook, you can replicate their profiling data to likely matches in other countries to the closest 1%. Before you know it, you could have identified two million potential customers in France. Wow. What do I need to get started on Facebook? The first thing you need to do is install Facebook Pixel to your website. This will allow you to track website actions, measure results, creature audiences for remarketing and optimise ad campaigns. You will also need to setup an Ad Account which you can manage in Business Manager. If you’re B2B, LinkedIn could be your ticket to effective remarketing (or retargeting as they call it). 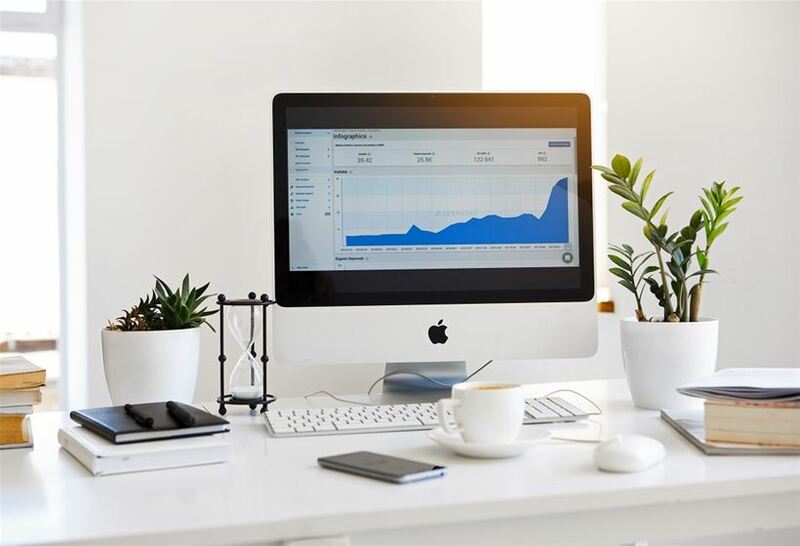 Large volumes of relevant users can be reached through their advertising options, which include website remarketing, customer lists as well as the traditional profiling features of job type, industry/sector and competitor audiences. Four out of five LinkedIn users are claimed to drive business decisions, with over 73 million senior level influencers with a LinkedIn account – not to be ignored. Twitter provides the core remarketing options of tracking website visits, mobile application users and building audiences using customer data. 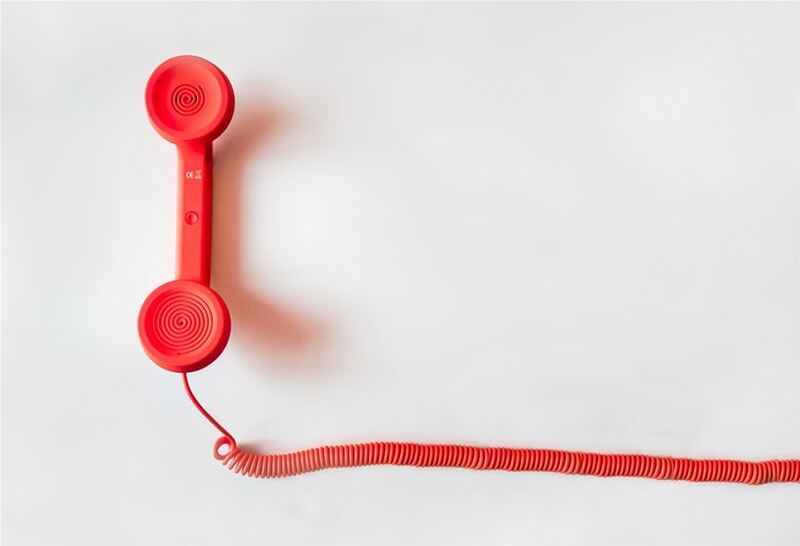 Although it hasn’t reached anywhere near the heights of Facebook, it can still provide an effective tool to reengage with its users and turn them into new or repeat customers. Twitter, has announced its trialling longer character limits to help users ‘easily express themselves’. It’s an interesting move by Twitter, as the 140-character limit is what makes the platform unique and sets it apart in the social media world. At the moment, tweets are currently 140-characters, with the trial doubling it to 280 characters for a small group of users. Twitter product manager Aliza Rosen wrote, “Trying to cram your thoughts into a tweet – we’ve all been there, and it’s a pain.” However, this isn’t a problem for everyone. People tweeting in Japanese, Chinese and Korean can convey double the amount of information on one character leaving room to spare, whereas people tweeting in English, Spanish or French quickly run into the maximum limit. Going from too short to too long? One of Twitter’s greatest strengths as a marketing tool is that there is a high chance of people who begin reading a tweet will finish it. 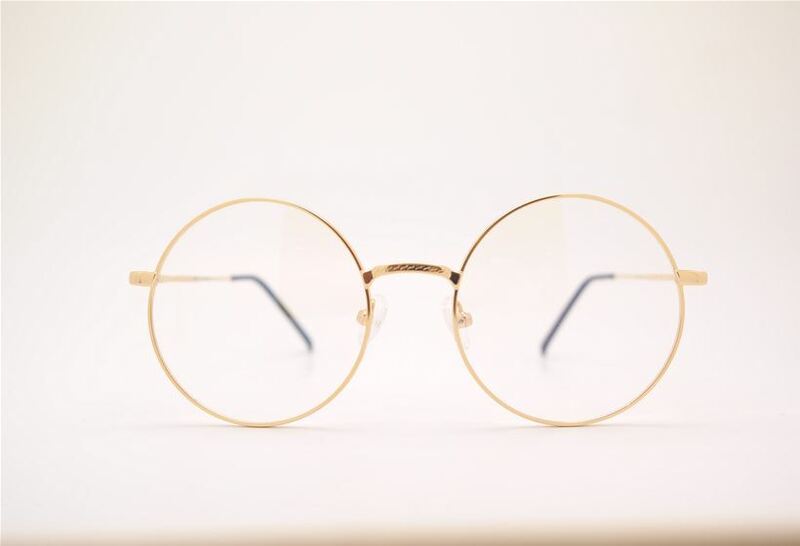 In a fast-paced digital world, attention spans are much likelier to wander over longer posts – with the average person looking at a tweet for only 2.92 seconds. Brands could find engaging with users more difficult as well as reading and writing posts would take far longer. Marketers should be focusing on captivating content and grabbing the attention of the audience through content and images rather than worrying about the longer character limit. 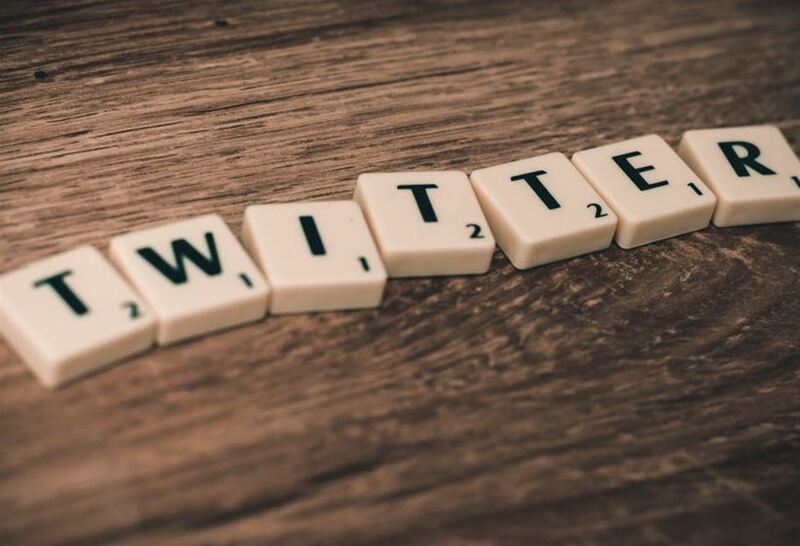 According to research, the ideal length for maximum Twitter engagement is actually between 71-100 characters achieving 17% higher engagement rates than longer tweets. Plus, it is a well-known fact that people engage more with visual content and with tweets that include images or videos are likely to received 150% more retweets than ones without. I’m happy with the 140-character limit, if you cannot put your point across, then you are saying too much and filling it with information you do not need. I think it makes people think more, write more clearly, proof their posts and get straight to the point. Join our digital experts as we host an interactive workshop with the Norfolk Chamber of Commerce. Paul is our go to man for anything digital. He has been developing websites and online marketing campaigns for 8 years, crossing a multitude of different sectors. Paul’s experience has been gained as both an in-house marketing manager for a leading national bed retailer, and as a digital marketer within digital agencies, delivering web, SEO and PPC projects for multiple clients. Nathan specialises in content marketing, social media and communications strategy. Working with a wide range of national and regional clients across a multitude of sectors, Nathan is also our in-house photographer and videographer, often found on shoots across East Anglia helping bringing brands to life through engaging, visual content.